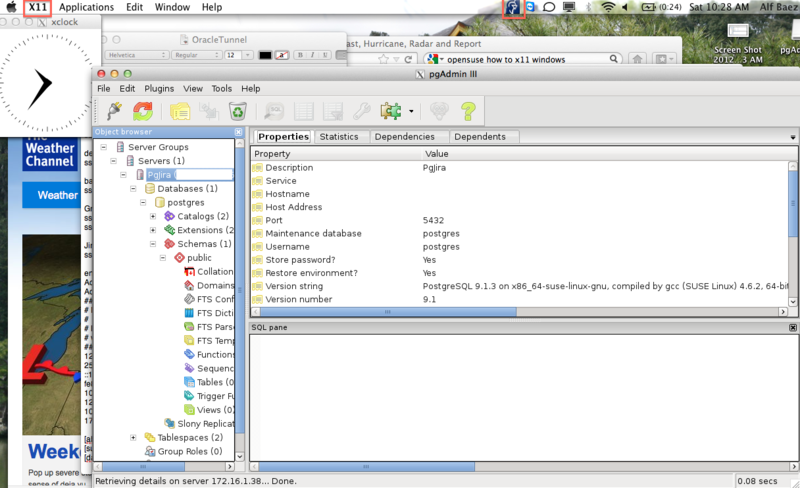 Tutorial to Install PostgreSQL in OpenSUSE 12 Part3 | URimagination, Inc.
Configuring the client: PgAdminIII on OpenSuSe and Pgadmin3 on Mac. 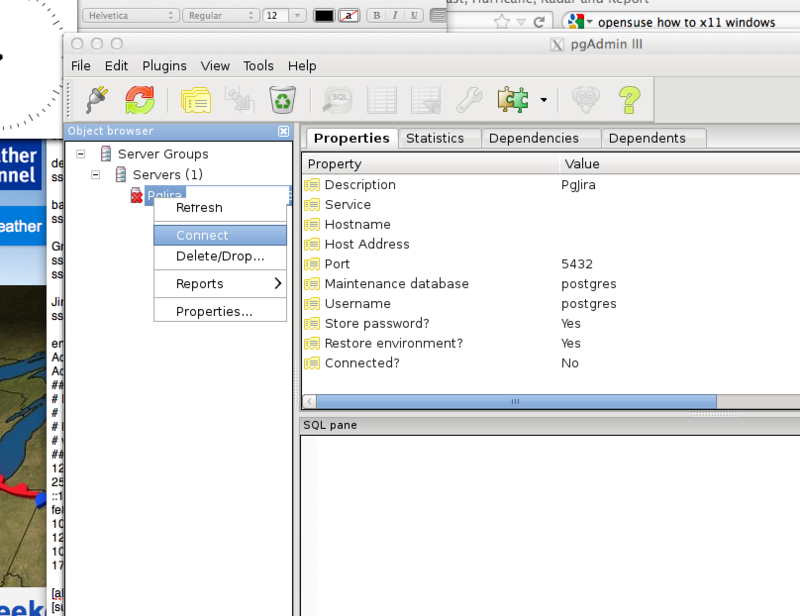 Installing PgAdminIII and PgAdmin3 on OpenSuSe and Mac is strait forward. Please note that for situation I’m connecting using RSA VPN secure Tunnel that our System and Security Engineer has configure so we can access the environment remotely and secure. 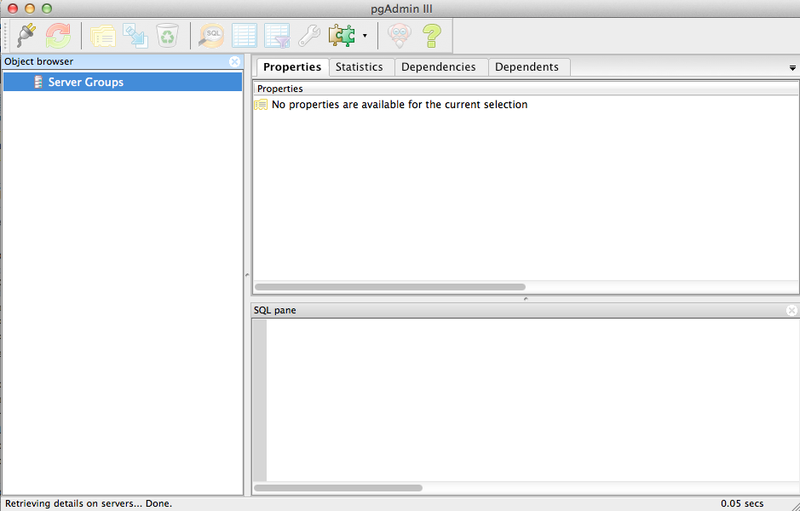 Then fire up Yast2 => then from Software Manager I added pgAdminIII package using the software manager, apply and done. 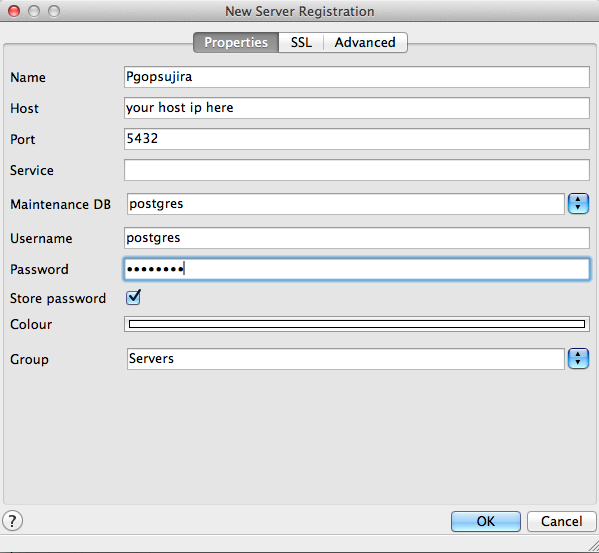 Access to database denied The server doesn’t grant access to the database: the server reports FATAL: no pg_hba.conf entry for host “172.16.1.5”, user “postgres”, database “postgres”, SSL off To access a database on a PostgreSQL server, you first have to grant primary access to the server for your client (Host Based Authentication). PostgreSQL will check the pg_hba.conf file if a pattern that matches your client address / username / database is present and enabled before any SQL GRANT access control lists are evaluated. The initial settings in pg_hba.conf are quite restrictive, in order to avoid unwanted security holes caused by unreviewed but mandatory system settings. You’ll probably want to add something like host all all 192.168.0.0/24 md5 This example grants MD5 encrypted password access to all databases to all users on the private network 192.168.0.0/24. 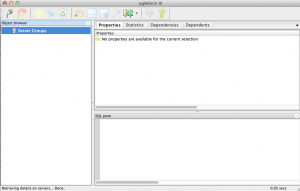 You can use the pg_hba.conf editor that is built into pgAdmin III to edit the pg_hba.conf configuration file. 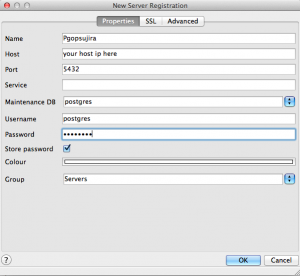 After changing pg_hba.conf, you need to trigger a server configuration reload using pg_ctl or by stopping and restarting the server process. 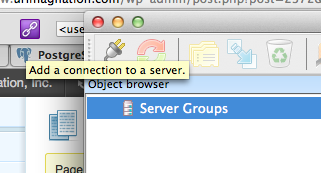 So next time you need to browse the db and if connect, all you need to do is right-click on the disconnect server, on the left side pane (object Browser) and select connect. 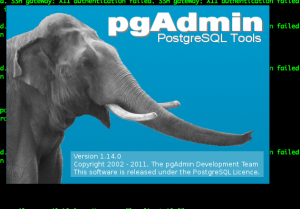 Ok, all is left from here is a lot more that you think, let’s start by picking around and getting familiar with the ins and outs of the power of PosgreSQL. Feel free to send any question or correction notes using the quest contact form on this site. I’ll try to answer all of them…. So long and until next tutorial!